features a selection of faves for the whole family! Valentine’s Day is almost here. For many adults, the day is a fun indulgence of chocolates, flowers, jewelry, and the beverage and meal of choice. With children, however, the celebration is so much purer: to love and be loved. These three books wonderfully encapsulate the true sentiment of Valentine’s Day for children. We Love Each Other by Yusuke Yonezu, Minedition, 2013. 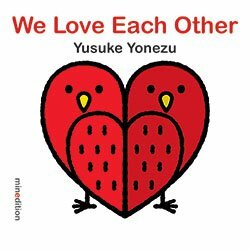 We Love Each Other by Yusuke Yonezu (Minedition, $9.95; Ages 2-5) is a cleverly disguised shapes and colors die-cut board book. Six colorful animal pairs and one trio love each other and form shapes. The red birds are cozy next to each other and create a heart. Parent elephant shelters baby elephant and together they form a gray semi-circle. The cuddly brown bears don’t like to be apart, so they hug and create a square. The text and drawings are appropriately simple for a young audience. Mice love each other. Rabbits love each other. Cats love each other. The animals are presented on a white background that does not distract from the purposes of the text: to highlight love and to teach shapes and colors. We Love Each Other is a Valentine’s Day book that can be read all year long. What’s a mouse to do when he’s in love with someone a lot taller? Never Too Little To Love by Jeanne Willis with illustrations by Jan Fearnley, Candlewick Press, 2013. Tiny Too-Little reaches way up. Wobble…wobble…wobble…CRASH! Alas, all his hard work is in vain! Poor Tiny Too-Little! But, Topsy Too-Tall loves him and she has an idea. Will her idea work? Will Tiny Too-Little and Topsy Too-Tall finally get their innocent kiss? Children will enjoy this book, perhaps especially for its unusual use of pages. As Tiny Too-Little stacks his “ladder” of love, the page lengths become progressively shorter. It’s a clever and engaging technique that helps the young reader visualize Tiny Too-Little’s efforts. Jan Fearnley’s artwork is spot on. The pastel colors and endearing details, such as little hearts floating up to Topsy Too-Tall, fit beautifully with the sentiment of the story. Never Too Little to Love proves that when it comes to true love, your size doesn’t matter. What matter is the size of your heart. Love Monster by Rachel Bright, Farrar Straus, Giroux, 2014. Sometimes being a monster isn’t easy, especially if you happen to live in Cutesville: Home of the Fluffy. 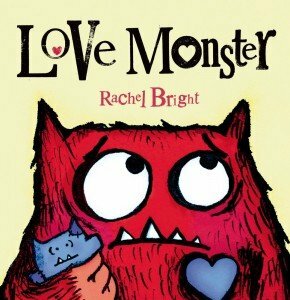 Love Monster (Farrar, Straus Giroux, $16.99; ages 4-7) by Rachel Bright presents the heartfelt and brave undertaking of Monster, who does not quite fit in Cutesville. When everybody loves kittens…and puppies…and bunnies. You know, cute, fluffy things, it’s hard to be a slightly hairy, I-suppose-a-bit-googly-eyed monster. But, Monster is not one to mope and decides to take matters into his own hands. He sets off to look for someone who’d love him, just the way he was. His journey is not easy, and Monster searches far and wide. Along the way, he must overcome disappointment and fear. And, just as Monster has reached his limits, he unexpectedly learns that things can change in the blink of a googly eye. In a society that bombards children with the idea that self-worth and overall acceptance are tied to a cuteness factor, this book is a breath of fresh air. I love that at no point does Monster attempt to make himself cute or change who he is. No, instead, he looks for a love that will accept him as he is. It’s a powerful message of unconditional love for and acceptance of oneself as being worthy of love. The illustrations are as monstrously enjoyable as the storyline. Children will have fun reading the titles of Monster’s self-help books and his list of places to look for love. Love Monster is a must-read for Valentine’s Day. 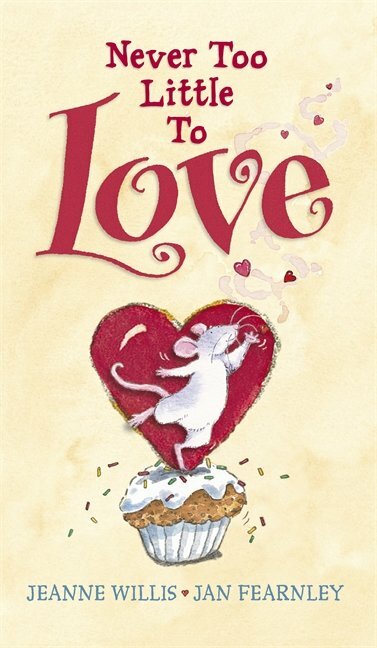 next post: Best Valentine’s Day Books for Children Part 2: Hearts, How Do Lions Say I Love You? & More!